ZSL Whipsnade Zoo’s Butterfly House is one of the largest butterfly biomes of any UK Zoo. Featuring more than 30 different species from around the world, visitors are surrounded by hundreds of colourful butterflies. 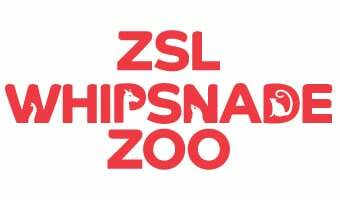 Video of Amazing new Butterfly House opens at ZSL Whipsnade Zoo! This chrysalis-shaped exhibit offers an exquisite tropical experience, as well as a wonderful place for families to learn about nature. As you travel through our butterfly domain, you will enter our interactive Metamorphosis Zone and be able to see every stage of the caterpillar/butterfly life-cycle. Featuring a puparium, the metamorphosis zone shows live pupae emerging from their cocoons with keepers on hand to demonstrate the art of raising butterflies. Throughout your journey through the Butterfly House, you could encounter the fearsome Blue Tiger, Zebra Longwing, or even the majestic Madagascan comet moth. Each of these species can be spotted through their vivid colours, colours that have hidden meaning within the Butterfly World. From camouflage to mating, colour plays an important part in a butterfly's life, and with our engaging talks you can unravel the mysteries. Once you’ve encountered our fluttering friends, if you're feeling brave, you can head down to meet our West African Dwarf Crocodiles. Don’t let their teeth scare you, these swamp dwellers are one of the smallest crocodiles. Learn more about how these reptiles have come under threat through your travels in this fantastic exhibit. There are hundreds of butterflies in our Butterfly House, but who’s who? Use this handy spotter’s guide and learn your glasswing from your blue clipper. Will you be able to spot them all on your next visit?